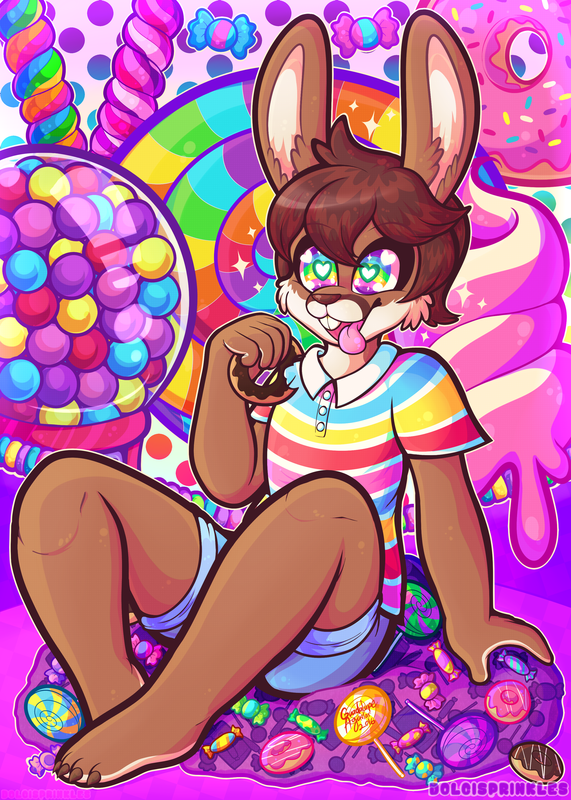 A little known fact: Flip is a super candy fiend. He simply loves sweet things. One day Flip had way more candy than is recommended by the FDA. So much so that he started seeing things..
dolcisprinkles captured the moment perfectly.